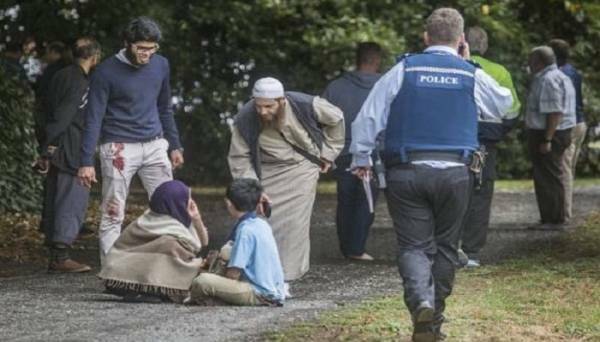 New Zealand terrorist attack on Muslims in mosque was one of the worst attacks depicting rising wave of Islamophobia in world. This attack was taken by majority as a direct reflection of growing right wing extremism against Muslims & accounting to rising Islamopobia after 9/11 attacks. The ever increasing hate crimes against Muslims and Islamophobic bias under US President Donald Trump is a legacy of the September 11, 2001 terror attacks that were falsely blamed on the Muslims and covered-up by the US administration since 9/11. This new second wave post-9/11 began under former President Barack Obama and the reason for this is that American people still feel tremendous trauma & hatred in their hearts based on the protagonistic events that were falsely implicated on Muslims. This is clear that Obama did not make any effort at his end to get to the truth of the events but a “false flag coup d’état” orchestrated by the enemies of Muslims, primarily Zionists working for Israel still repercutes in the minds of native American’s that exacerbate their ever increasing hatred against rising jurisprudence of Islamic caliphate in world. The number of Islamophobic incidents in the US alone doubled in the 2nd quarter of 2017 compared to that in other western country. More than 940 anti-Muslim hate crimes and bias incidents were reported between April & June of 2017, an increase of 91 %, according to a report released by the Council on American-Islamic Relations (CAIR), cited by them being worst year on record for anti-Muslim incidents since their documentation of these types of incidents started in year 2013. Critics analyze this Trump rhetoric and policies against Muslims being emboldened by far-right groups promoting anti-Muslim hate crimes across US. Even during his presidential campaign in late 2015, Trump vowed to prevent Muslims from entering the US. He signed the executive order imposing a 90 day ban on the entry of people from 7 Muslim majority countries. This hate rhetoric was propounded majorly on Islamophobic verdict of Trump administration and that paved way for global exacerbation of hate crimes against Muslims. War against Muslims is not a new thing at all, but time is testimony to these facts that multiple theories were propounded at global level to secede the voice of Muslim majority nations only on grounds of being Muslims and falsely implicated as terrorists. Whether it be Israel sponsored terrorism against Palestinian Muslims, be it bloodshed in Syria by Assad regime, US war administration in Afghanistan, past turbulence in Iraq by US or in case Human rights violation in Kashmir by India is all a gruesome indication of rising Islamophobic expression and sponsored hate crime against Muslim majorities in world only to curb their collective sentiment. Terrorist attacks whether done in past or now by extremist anti-Muslim regimes during congregational prayers in mosques is a direct reflection of rising hate. The recent terrorist attack in Christchurch New Zealand has called for immediate world attention to curb this ever increasing social, regional, national & global religious bigotrism against Muslims and unite as one to pact a compact deal against hate crimes. In wake of these terrorist attacks all over world against Muslim majorities, The Islamic Educational, Scientific and Cultural Organization (ISESCO) called on the United Nations to declare 15 March an International Day to combat Islamophobia. This date was chosen to honor the 50 people who were martyred last week in terror attack on two mosques in Christchurch, New Zealand. It was warned by the ISESCO director general, Abdulaziz Al-Tuwaijri of the growing extremism and hate speech against Muslims in the world, despite the great efforts made over the past three decades in intercultural dialogue and alliance of societies. The international governments and organizations were called upon to intensify their efforts to confront this dangerous phenomenon that threatens world peace and security. Islamophobia has turned out to be a global threat having repercussions on Muslims rights, security & safety in countries outside the Muslim world. This growing extremism & intolerance will have a strong bearing on the cultural harmony of multi-religious countries and will threat world peace order in the times to come. Merely marking the day as International day against Islamophobia will not suffice the purpose of getting over with this rising coup against Muslims, it is impressed upon to devise global peace order policies by moderator agencies like UN in dealing with such types of inhuman acts of oppression. Celebrating the day means to pledge an oath in getting united against religious terrorism and reinstate a global policy of right to live & let live. There should be global consensus among multiple organizations dealing against terrorism to curb sponsored atrocities, war gambling’s & help in curbing negative perception of west world over Muslims being terrorists that is totally uncalled for & against the very fabric of humanity living in unison irrespective of religious affiliation. International communities must come forward and implement the resolutions passed in protecting the Muslim rights and of clearing this false narrative against Muslims being terrorists by religion. The author is freelance columnist from Indian administered Kashmir currently working as Doctoral Research Scholar, (DST INSPIRE) at CSIR – Indian Institute of Integrative Medicine Jammu, (J&K).